A couple of days ago I received an e-mail from History. com in which they asked me whether I would like to do a post on their upcoming Civil War documentary that will be aired on May 30th 2011. As you can easily deduce, I was willing to do so as the program seems interesting and well done and I’m partial to Ridley Scott anyway, be it as producer or director. I will not have the opportunity to watch it as I’m not US-based but all of you who are, do not miss it. Below is what has been written in the e-mail and should tell you all you need to know in advance. At the bottom you can find a trailer. The trailer and the choice of music (I’m a HUGE Placebo fan and their cover of Kate Bush’s Running Up That Hill is a favourite) make me feel really sorry for not being able to see it. 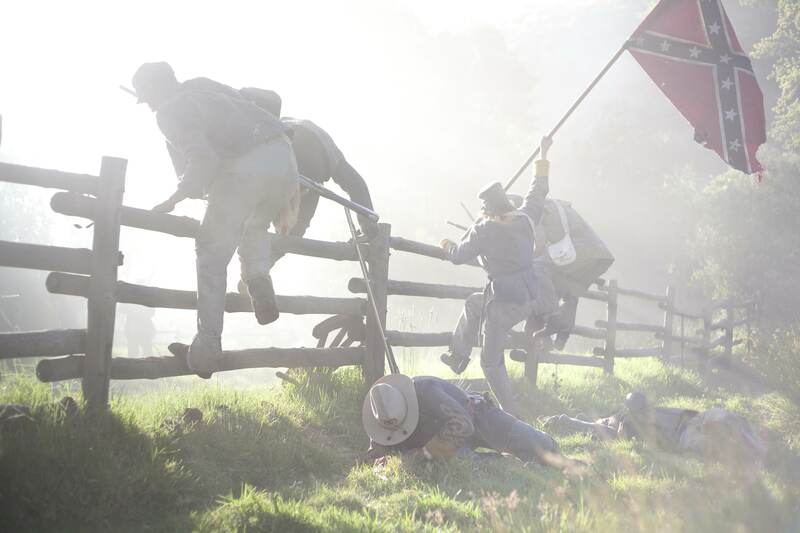 History programming commemorating the 150’th anniversary of the Civil War. facts surrounding the greatest engagement ever fought on American soil. vision of what America should be. More information can be found here History. com. The question you might ask yourself right away is probably: What is an original war movie? Is Stalingrad original or Black Hawk Down? I would argue, no, they are not. They are great, they are absolute must-sees but they are not original. They consist pretty much of linear story telling. Well filmed but nothing out of the ordinary. What about Enemy at the Gates? Admittedly according to my definition this almost made it into the list, as it is originally beautiful, but so are others. Original is about something more than beautiful cinematography, it is something beyond the well-trodden path. Either a different way of telling an old story, a new look at something we saw before, a different way of filming, a genre-blend, an original story etc. After thinking for a very long time about it, I came up with the following fifteen movies that are far from the ordinary. I guess that all these fifteen films are movies that mostly also appeal to cinema lovers in general. Three Kings (USA, 1999): Taking place during the first Iraq war it is definitely one of the most original movies I have ever seen. The way certain things are filmed is pretty unusual. When someone gets hit by a bullet we follow the bullet on its way inside the body, see how it affects the system and causes gangrene. Quite astonishing. On top of that it is a crazy, fast-paced story. Like a filmed version of a rock song. Pan’s Labyrinth aka El laberinto del fauno (Spain, 2006): Set during WWII in Franco’s Spain. A genre blend, half fantasy, half war movie. Uses lots of fantastic elements, striking colors. Absolutely different. The Thin Red Line (USA, 1998): WWII, The Pacific. 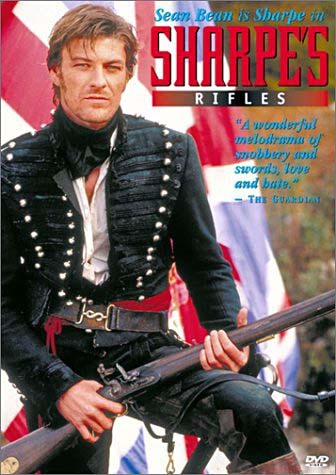 This is the most lyrical of all war movies. Intense pictures, haunting voices in the off meditate about death and dying. It is one of those cases – you love it or you hate it but can’t deny it is original. Life and Death of Colonel Blimp (UK, 1943): Boer war, WWI, WWII. A movie that relies heavily on almost choreography like acting, loads of allusions to British culture. Extremely funny, filmed in brilliant Technicolor. Quite slapsticky at times, reminded me of one or the other Laurel and Hardy at war movies, but undeniably British humor. Two astonishing acting achievements. Deborah Kerr playing three different women and Roger Livesey playing the young, the middle-aged and the old Colonel Blimp. Amazing performances. The Downfall aka Der Untergang (Germany, 2004). There have been such a lot of movies about Hitler but this concentrates on his very last moment, in the bunker in Berlin. Quite an unusual look. Creepy, spooky, with a fabulous Bruno Ganz in one of his best roles. Waltz with Bashir (Israel, 2008): Israel. Another animated movie but of an altogether very different kind. This looks more like a woodcut. Interesting take at the Lebanon war. Apocalypse Now (USA, 1979). Considered by many to be one of the best war movies there is, it is also very original as it doesn’t show the Vietnam war as it was, instead more like a hallucinatory re-telling of The Heart of Darkness set during the Vietnam war. Using Wagner’s Valkyrie and The End by the Doors further underlines it’s aiming at being something different. Whether you like it or not, it is very original. Have I forgotten any and if so, why should they be included? This is Part I of the HBO production Sometimes in April on the war in Rwanda (see Friday’s post) starring Idris Elba and Debra Winger. As I said, I haven’t seen it yet but it looks as if the whole movie has been posted in bits on YouTube. It seems well worth watching. 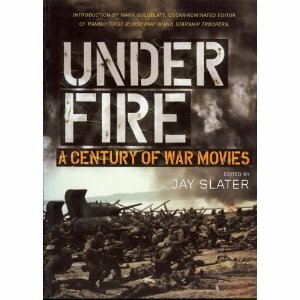 Under Fire is simply a must-have for people seriously interested in war movies or even movies in general. It contains a collection of essays on all sorts of topics regarding war movies, from WWI to the wars in Afghanistan and Iraq. Many different people have contributed to this very dense work. Well-known film critics and academics alike. This is really something to sink your teeth into. Quite demanding reading but extremely insightful. For example did you know how important YouTube´s influence was on contemporary Iraq movies (yes, I even started to understand Redacted)? Or how Vietnam changed the war movies? 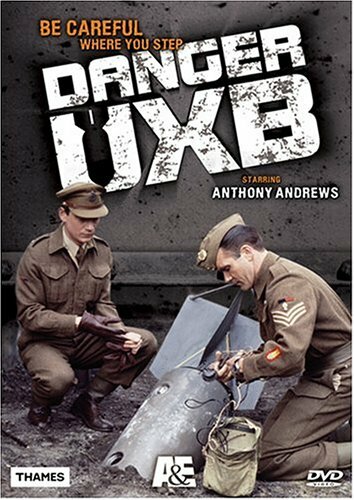 Do you know a lot about British propaganda movies of WWII? Did you consider to interpret Starship Troopers as WWII and Nazi satire? These are only a few topics of many that are analysed in these very thoroughly researched essays. Sure, this is no movie guide as such. It is not recommending or rating anything. Under Fire provides criticism and analysis for those who like to interpret not only the apparent but also the subtext. This book is really worth having and I am quite excited about this find that manages so well to show the variety, the depth and the virtuosity of war movies. Here you find the link to the publishing house. It contains an interview with the editor and interesting additional chapters.